The idea for this new series came to me a few weeks before Christmas: I had been hoping to create a gift guide composed of all of our favorites—items our family owns and loves, and that I could wholeheartedly recommend. I never got around to making that guide at Christmastime, but after the holiday passed, I had a thought: people don’t only buy gifts at Christmas. Why did my gift guide need to be relegated to the month of December? And for that matter, why did my guide have to be just about gifts? I personally find guides most useful when buying items for myself! 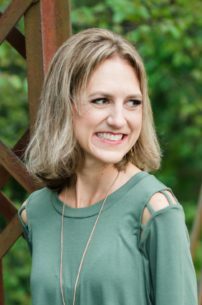 I began compiling a list of our family’s favorite items for a non-Christmas gift (or non-gift) guide. And as the list grew longer, I realized there was no way I could fit them into a single post. 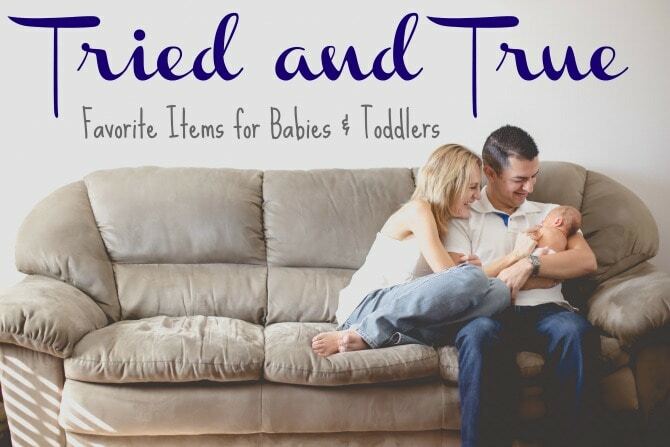 Instead, this is going to be a monthly new blog series in which I feature a category of Tried and True items our family loves and that I think you will too. You can treat these recommendations as gift guides (and I’ll be sure to create a roundup of all of them for you during prime gift-buying time next December). Or you can use them as a reference in making non-gift purchases for yourself, your home, and your family. The items will range in price and type; their one commonality is that every one of these items lives (or has once lived) in our house and is something our family has been happy to own. In future months I’ll be sharing some of my personal favorite items, a few things Luke can’t live without, our must-have kitchen and household gear, and of course a roundup of our all-time favorite books. Today’s list is all about the littles! Graco Soothing System Baby Glider (Swing & Bassinet) ~ I’m sure there are fancier gliders on the market these days, but this one was perfect for our needs. The glider base holds either a bassinet (great when Charleston was a newborn) or a swing (which he slept in until after his first birthday). The glider features several different sounds, speeds, and vibration types that were great for helping soothe Charleston when he woke up fussy, and he never did sleep on his own in his crib, so this was a lifesaver for me during naptimes when he was a baby. 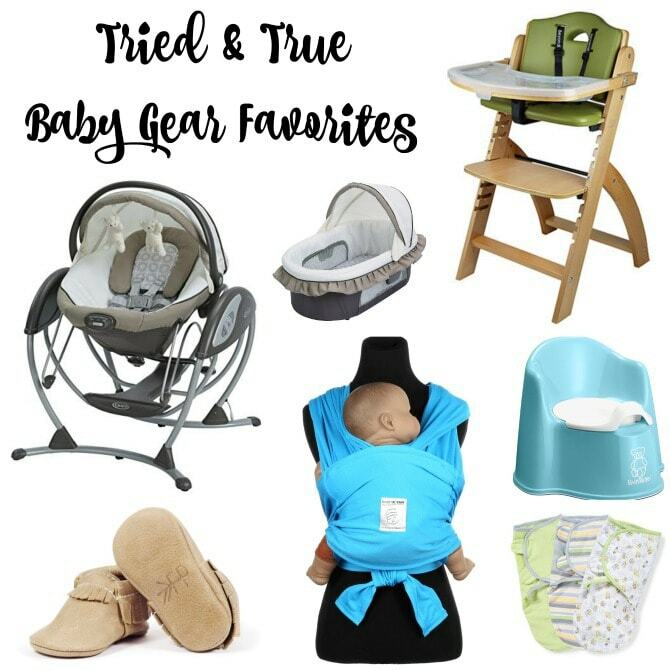 I also appreciated that the bassinet and bouncer seat could be used individually, apart from the glider, and that the covers of both could be removed for easy washing. Freshly Picked Moccasins ~ I LOVE these moccs so much! Charleston had a couple of pairs of them, and they were cute, durable, easy to put on, and always stayed on his feet (unlike a lot of his other baby shoes). These come in several colors and styles, and though they’re pretty expensive, the quality justifies the price. These make a great baby shower gift! Baby K’Tan Cotton Wrap Carrier ~ If I could only include one item on this list, this wrap would be it. I recommend this to every new mom! I wore Charleston constantly when he was a newborn, and we went through several different carriers before settling on this as our favorite. It’s cozier and more comfortable than the more structured wraps (though the Ergobaby Carrier was great for longer periods of time when Charleston got a bit bigger), and it’s so much easier to put on than other woven wraps because the built-in loops don’t require any extra folds or twists. It’s machine washable and folded up small enough for me to keep in my purse. Just a head’s up: the sizing is based on the parent wearing the child, not the baby’s size. This was great because I could use the same carrier with Charleston from the time he was a newborn until he was almost two; unfortunately, though, it meant that Luke and I couldn’t use the same carrier because we aren’t the same size. Baby Bjorn Potty Chair ~ This potty is sturdy, easy to clean, and more aesthetically pleasing than most baby potties. We bought this shortly after Charleston turned two and kept it in our bathroom to get him used to the idea of potty training. This low-key approach worked well for us. Even now that he’s fully potty trained, he still prefers to use this potty over our big one, especially when he goes to the bathroom in the middle of the night. SwaddleMe Adjustable Infant Wraps ~ Like most babies, Charleston loved to be swaddled, but I had a hard time swaddling him with a standard blanket. These velcro swaddles kept him nice and snug (no more escaping hands!) and I appreciated the easy-open leg pouch that allowed me to change him without fully removing the swaddle. Garden Activity Cube ~ I still think this is one of the coolest toys we’ve ever owned. 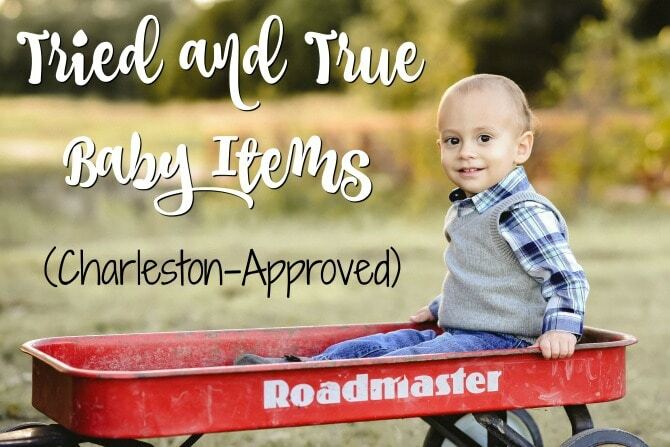 It’s large, sturdy, attractive, and features six activities of various developmental levels so that Charleston enjoys this just as much now as he did when he was one. Melissa & Doug Housekeeping Set ~ We got Charleston this set for Christmas a couple of years ago (along with this additional set of cleaning tools) and he still loves getting them out so he can work alongside me on cleaning day. Let me tell you, there’s nothing cuter than a 2-year-old sweeping the floor with a broom that’s taller than he is! 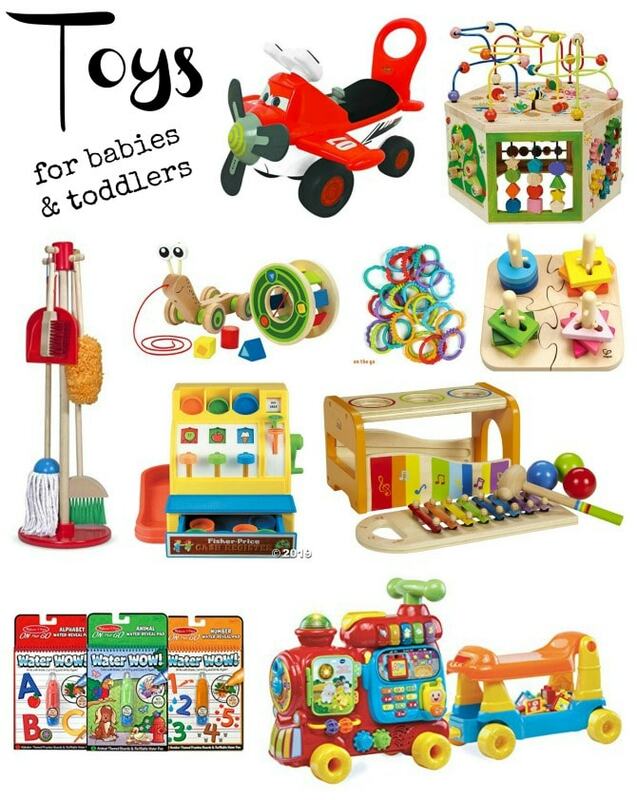 And you really can’t go wrong with Melissa & Doug toys in terms of quality and creativity. We also own and love this truck, these puzzles, and this hammer toy, as well as several other M&D preschooler toys that I’ll share in my Preschooler Tried & True post. Hape Walk-A-Long Snail Pull Toy ~ Charleston has a few pull toys, and still loves playing with all of them. This one is unique in that it doubles as a shape sorting toy (not to mention that it’s incredibly adorable). Bright Starts Lots of Links ~ I received a set of these as a baby shower gift, and when I opened them, the other moms at the shower all commented on what an essential these are. They were right! We used these to attach toys to Charleston’s stroller, car seat, and high chair when he was a baby. As he got older we practiced sorting the colors. Now he likes making giant chains that he weaves around his room. Because they all link together, they never get lost! Hape Wooden Peg Puzzle ~ This sturdy puzzle toy is a creative take on the traditional stacking toy and was great for helping Charleston practice his fine motor skills and learn his shapes and colors. Fisher Price Cash Register ~ Fisher Price’s line of retro toys is so fun. We bought this for Charleston after we saw how much he enjoyed the one in our church nursery. This toy is well made and doesn’t have too many loose pieces to keep track of. Hape Pound & Tap Bench ~ This toy combines music, balls, and a hammer—three of Charleston’s favorite things. (He has also discovered the xylophone base makes a nice little stool to sit on.) We like this so much, we’ve gifted it to a few friends. Melissa & Doug Water Wow! Activity Pads ~ These mess-free, reusable pads are perfect for car rides or, when Charleston was younger, occupying him in his high chair while I made dinner. Every family needs a few of these! VTech Alphabet Train ~ Like Dusty the Plane, this is another (loud, plastic) toy I wouldn’t have chosen for Charleston, but he loves it, and the various letter activities have been great for helping him learn his alphabet. When he was younger, he liked to ride on the train; now he loves racing it around our house and using it as a stepstool. Baby Lit ~ These books are so amazing! They take titles and imagery from literary classics and use them as a delivery service for primers on sound, shapes, colors, feelings, and more. I’ve lost count of how many new moms I’ve gifted these books to; I try to choose classics that tie in with the nursery or baby shower theme, which isn’t hard because there are so many titles to choose from, and every one is a winner. Little Bunny’s Bible ~ This is a great first Bible with the most adorable soft cover. You can also get the same Bible with different animal covers (lion, duck, bear, etc.). The Bunny cover makes for a nice Easter basket filler. Goodnight Moon ~ Such a classic, and perfect for bedtime. If you’re giving as a gift, pair it with this hilarious parody that the parents will love. Giraffes Can’t Dance ~ A silly but sweet story with fun illustrations, clever rhyming, and a sweet message about individuality and inclusion. Eric Carle Books ~ Every child needs a few of Carle’s classic books in their library. With their colorful pictures and simple stories, it’s easy to see why these books show up on every Best of the Best books for littles. I’ll never forget the first time Charleston “read” Brown Bear Brown Bear out lout to me, and one can’t help but love The Very Hungry Caterpillar. Personalized Birthday Book ~ This website allows you to customize books with your child’s name and picture. There are several books to choose from for boys, girls, and babies. The books have durable pages and a hard cover, and they come in a nice keepsake box. We got Charleston the birthday book for his first birthday, and it remains one of the stars of his bookshelf. This makes a great birthday or Christmas gift for the child who already has everything. Guess How Much I Love You ~ A delightful little book about a father’s love for his son. Sandra Boynton Books ~ Charleston adores all of Sandra Boynton’s books, and by now can “read” them on his own. Snuggle Puppy has always been our favorite (check out this video to learn the tune for the song), with Pajama Time and The Going to Bed Book as close runners up. On the Night You Were Born ~ A beautiful, tearjerker of a book that celebrates a child’s first night on earth with lovely, whimsical pictures. Mouse Board Books ~ These simple books are a great introduction to Mouse of If You Give a Mouse a Cookie fame. It’s Pumpkin Day, Mouse! was the very first book Charleston was truly obsessed with, and where he learned how to intentionally make faces to match his emotions. We also have Happy Valentine’s Day, Mouse! and Merry Christmas, Mouse! and enjoy bringing them out for the appropriate holidays. My Busy Books ~ Charleston has several of these movie- and show-themed books that include a story, action figurines, and activities all in one. They are easy to store and great to pull for Charleston when I need him to play independently for a bit. 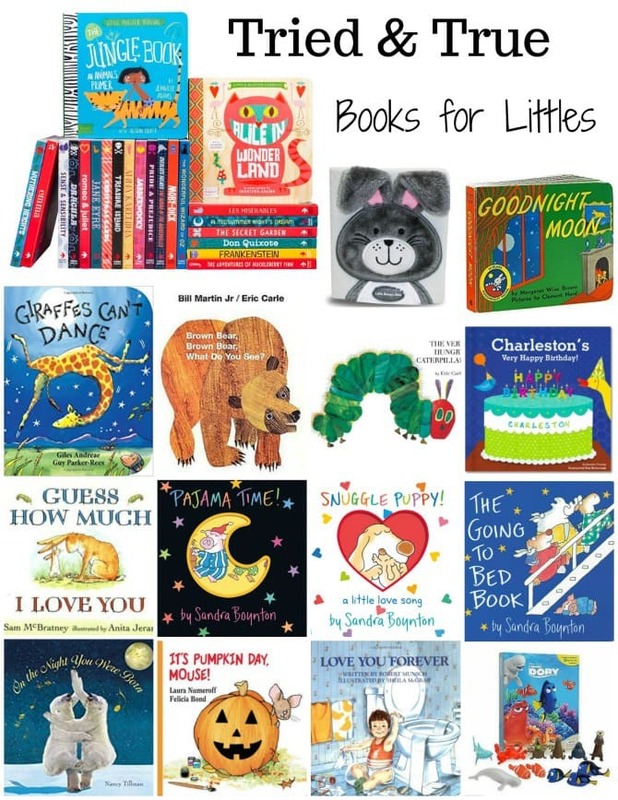 There are many books to choose from, so it’s easy to give these as a gift that fits along with a child’s birthday party theme. That’s it for the first installation of this Tried and True series. If you have a question about any of these items, please ask, I’d be happy to help! And if you buy one of these items as a gift or for your own child, let me know what you think!